Guest Column - America and Europe: a Case of Impaired Judgment? The Arab-Muslim world is currently a cauldron of violence, murder and carnage. Similar to a volcanic eruption but not in any way a force of nature, it is a man-made disaster that threatens world peace. Some people mistakenly think that the post-Arab Spring terrorism and murder plaguing the Middle East are somehow confined to the Arab world. That is a commonly held belief in Europe, which closes its eyes to the catastrophe lurking at its door and repeats to itself the mantra that the threat of radical Islam's taking over the Middle East is a matter for Israel and America only. Europe needs a painful jolt of reality to see the very things it denies. Its leaders have to be made aware of what is happening right in their own back yards. Europe is coming under the influence of Muslim immigrants who live in seething, explosive enclaves of crime, regressive religious incitement and isolation. Any social-sectarian explosion may be delayed as long as they are thrown the occasional sop in the form of yet another painful concession leading to the gradual erosion of the European identity of their host countries. Under the banner of tolerance, pluralism, restraint and democracy, the Europeans are preparing lives of Islamic religious coercion for themselves. The long-overdue designation of Hizballah as a terrorist organization offers a good example. Thirty years of lethal international terrorism, including last year's attack on Israelis in Burgas, Bulgaria, was not sufficient to convince the Europeans. Europe had to witness the slaughter of Syrian civilians before it could make its historic decision, and even as it did, in its fear of reprisal from both the organization itself and its own rioting Muslims, it allowed the "political" wing of the organization and some of its commanders to remain within the law. Hizballah's leaders could barely contain their smiles, and were quick to remind the Europeans, yet again, that Hizballah made no distinction whatsoever between its "political" and "military" [i.e., terrorist] wings. Europe's fear to openly oppose the threat of Islamic terrorism is spawned by its fear of reprisal within its own cities, where there are large Muslim communities serving as fertile soil for the growth of global Islamic terrorism, and some of whose members fall prey to terrorist incitement. Europe dared to designate Hizballah as a terrorist organization only after Bahrain, a Muslim country, did so. The Europeans did not feel confident enough to simply designate Hizballah as a terrorist organization and first had to impose a boycott on products made in the Jewish settlements, a way of placating the Islamic predators stalking them in their own back yards. As opposed to the slow, awkward and complex difficulties involved in making decisions regarding Syria and Hizballah, the West acted with surprising speed and efficiency when it came to imposing sanctions on the liberal provisional government of Adly Mansour and Abdel Sisi in Egypt. Mansour and Sisi performed a heroic act for the benefit of both the Arab-Muslim and Western worlds when, at least for the foreseeable future, they neutralized the threat of the establishment of yet another reactionary Islamic state in the Middle East. Why do the leaders of the West seem to have such difficulty in dealing with reality? Maybe instead of being statesmen in the classic sense, elected officials with vision, they are merely politicians who have convinced themselves that what they want to see is what they see. The message sent by the Obama administration to the provisional Egyptian government indicates that the West may have a problem in seeing the picture for what it is. As far as the Americans are concerned, broadcasting a picture of the president of the United States holding a golf club and condemning Egypt is both perfectly normal and acceptable. After all, even a president has the right to go on vacation. However, for the relatives of the people being slaughtered, burned to death and raped, the message is that America is indifferent, distanced and without empathy for the suffering of others at the most basic human level. For the Islamists, the message is a green light. Egypt is in fact in the throes of terrible violence. What does the American administration expect from people fighting for the character of their country and to free themselves from the claws of Islamist terrorism? Soapbox oratory? A televised late-night academic panel? A letter to the Times? The distance, lack of understanding of Middle East mentality, denial of the facts and political hypocrisy distort the West's picture of the world. Its leaders have a mistaken idea of the reality of the Middle East and judge it through the prism of their own ideologies. They have no real knowledge of the struggles waged in other parts of the world in which religion and national disputes play a part and which have different ideas regarding freedom, the rights of the individual and the value of human life. Those who lead the free world while nonchalantly swinging golf clubs seem to be telling the rest of the world that nothing can stop the game of denial and hypocrisy. The golf balls will fly, the president will make a statement and the fate of the masses will be decided, for better or for worse, during his game. The West is out of its depth when it comes to how the Arab-Muslim world regards society, behavioral norms and the mood of the people, especially now, in Egypt, which is fighting for its freedom and national character. Despite Egypt's situation, the West owes a debt to General Sisi for putting the brakes on radical Islam in the Middle East, an action that will have consequences for the entire Western world. He and his army, nurtured in the bosom of the West, stopped the tidal wave of ignorance, the oppression of, and traffic in, women, the barbarity and return to the Middle Ages the Muslim Brotherhood brought with them when they rose to power. Sisi and many like him understood the Muslim Brotherhood were no one's "brothers," but rather murderers who thought only of themselves and their agenda to turn Egypt into an Islamic emirate. They are not even cousins of the family of the enlightened. Sisi and the provisional government stopped the radical Islam of the Muslim Brotherhood and al-Qaida from kidnapping the Egyptian revolution born in Tahrir Square. According to the statements made by Obama, he is still not aware that Ayman al-Zawahiri, the leader of al-Qaida and his organization, are the rotten fruit of the Muslim Brotherhood tree, responsible for the slaughter of American and European civilians and soldiers. That is the only possible explanation for his equivocation after Morsi's ouster. The result is a diminishing American influence that is angering both Morsi supporters and his opponents. All that is left is to hope that the West opens its eyes and believes what it sees. The West has to listen to the cries of the suffering, the murdered and the starving, and to prevent Egypt from becoming Iran's Sunni twin. Obama has to learn the lesson of President Carter's historic mistake which, because of a similar policy failure, allowed the Ayatollahs to take over Iran. In view of the American administration's skewed perception of reality driven by high-level appointees with plenty of academic knowledge, but little on the ground experience, one of the stumbling blocks to understanding the Middle East is apparently the theoretical knowledge gained at a high-ranking university. Over-intellectualizing can seriously harm the instinct for self preservation and distort the ability to judge a situation not covered by theoretical academic models. So when Morsi usurped judicial power last fall, and rammed through a Constitution that failed to protect the rights of women and religious minorities, the Obama administration's response was muted and empty. The officials of the provisional government know that if they fail there is no way out for them or for the Egyptian people. Should that happen, they and the heads of the Egyptian army will be hanged in Tahrir Square and their bodies will be dragged through the streets as a warning. If they fail, the next step will be a Muslim Brotherhood Islamic dictatorship on the backs of the masses which will cast Egypt back to the Dark Ages. If that happens, the Muslim Brotherhood, which has already sabotaged the legacy of the Pharaohs, will destroy Egypt's archaeological treasures, the marvels of its culture, the pyramids and the Sphinx, like the Taliban, which blew up the ancient statues of Buddha. That is how radical Islam imposes the Islamic narrative on the world and destroys all evidence of the existence of any other culture or religion. That is not what the Egyptian people want. They want to live in freedom and dignity, and not under an Islamic dictatorship that will make their lives hell on earth. The Western world also does not want the Arab-Muslim world to suffer such a fate. Every school child in the Western world knows that democracy is not just a word; it expresses the desire for freedom and a life completely different from what the Muslim Brotherhood advocates. Democratic elections are not the end; they are the means to an end, the beginning of a process, not the process itself. Hitler also rose to power through democratic elections, something the West should remember when dealing with the fate of Egypt. 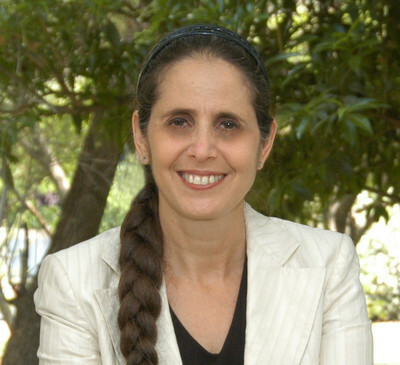 Dr. Anat Berko, PhD, is a Lt Col (Res) in the Israel Defense Forces, conducts research for the National Security Council and is a research fellow at the International Policy Institute for Counterterrorism at the Interdisciplinary Center in Israel. A criminologist, she was a visiting professor at George Washington University and has written two books about suicide bombers, "The Path to Paradise," and the recently released "The Smarter Bomb: Women and Children as Suicide Bombers" (Rowman & Littlefield). Anat Berko's assessment of the situation in the Middle East and the Obama Administration's reaction is the best I have yet had the pleasure to read. Too bad Obama and his minions do not have the knowledge, experience, and political will to address the situation with Anat's clear reality. It's already too late for Europe. There are over 53, 000,000 Muslims living in Europe at the present time. These are descendents of the laborers invited by the Europeans after WWII to help repair the damages resulting from that war. The birthrate of those Muslims has been and is now about 5 children per couple compared to an average 1.6 children per European couple. This invasion has occurred without a shot being fired. Already, the suburbs of Paris and the Swedish ciity of Malmo are examples of what has occurred in European cities. By mid-century, the continent will be known as Europestan. Only recently have the Europeans awakened to this problem. Unfortunately, it's too late. The Arab world is following after the dark, evil powers of this world. They have no desire for peace only hellish destruction. I feel for the innocent people that are trapped in this Satanic world.